Bruegel is celebrating its 10th anniversary in 2015. This timeline provides an overview of key events in Europe over the last 10 years as well as major publications from Bruegel. 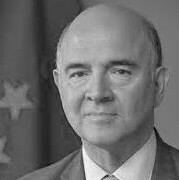 What have been the most effective strategies in limiting the impact of the economic crisis in Europe? What challenges lie ahead? Bruegel's 10th anniversary event in Budapest will foster discussion of these important topics. Establishing an independent competitiveness authority in each country of the euro area was a key recommendation in the Five Presidents' Report, but how could the system work in practice? This event will take place in Luxembourg, jointly organised with the Competitiveness Observatory of Luxembourg's Ministry of the Economy. The fourth edition of TATRA SUMMIT puts key emphasis on the assessment of the EU's strategic agenda and its implementation, just one year after the start of the new political cycle. As Cyprus looks ahead to post-bailout growth, what lessons have been learnt from the crisis and subsequent bank restructuring? The Nordic model is increasingly under pressure in Finland as the population ages and economic growth is low. Can it adjust and survive? The conference in Berlin addressed two topics at the forefront of policy debates in Germany and Europe: stable growth and the energy transition. 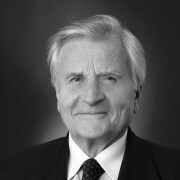 Jean-Claude Trichet outlines the factors behind Bruegel's success over the years.